Dr. Robert B. Pamplin, Jr. is a businessman, philanthropist, farmer, ordained minister, educator, historical preservationist and author of 28 books, including two Book-of-the Month-Club selections. He has earned eight degrees, including two doctorates, in business, accounting, economics, education and theology (B.S. Bus. Ad., B.S. Acctg., B.S. Econ., M.B.A., M.Ed., M.A. Theology, Ph.D. Bus., D. Min. Theology) and is a tenured professor. He is Chairman, President and CEO of the R. B. Pamplin Corporation with annual sales approaching $600 million. Dr. Pamplin’s business interest include media, Portland Tribune, and 25 community newspapers, textiles, construction and Columbia Empire Farms. 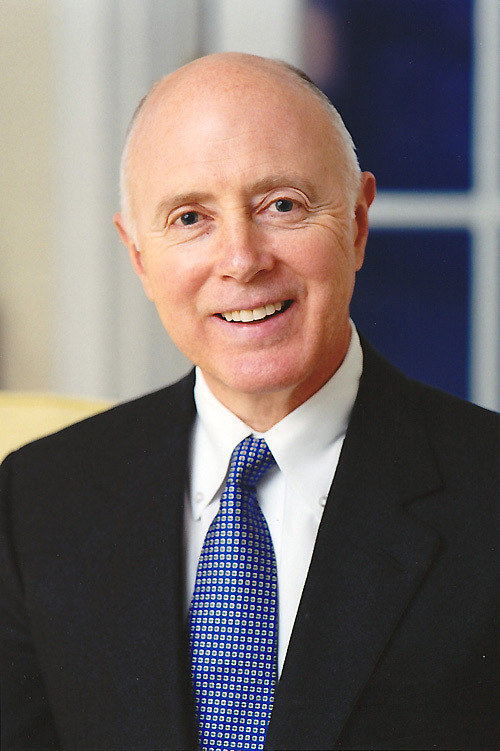 Dr. Pamplin has served on Presidential and State Commissions, and as Chairman of the Board of Trustees for three colleges and the Portland Art Museum. He has been awarded many honorary degrees and national awards, including the Distinguished Leadership Medal from the Freedoms Foundation at Valley Forge, the National Caring Award from the Caring Institute, the Herman W. Lay Memorial Award for being the outstanding Entrepreneur of the Year, the Woodrow Wilson Center Award for Corporate Citizenship, America’s Outstanding Individual Philanthropist by the Association of Fundraising Professionals, Volunteers of America National Volunteer of the Year, and Beta Gamma Sigma Businessman of the Year. In Oregon, he has been honored with the Governor’s Arts Award, Governor’s Gold Award, named entrepreneur of the year, Portland’s First Citizen, and selected by the Portland Business Journal as one of 20 leaders of change over the past 20 years. Pamplin has been featured in national magazines, newspapers and on television. He has delivered many commencement addresses and gives more than 150 speeches each year. These include the opening prayer to the Untied States Senate and a speech on ethics at the Pentagon.